A CASTLEFORD man who spends his day engineering boxes and brackets for mission critical industries has engineered his own success at the World Martial Arts Championships in Portugal. 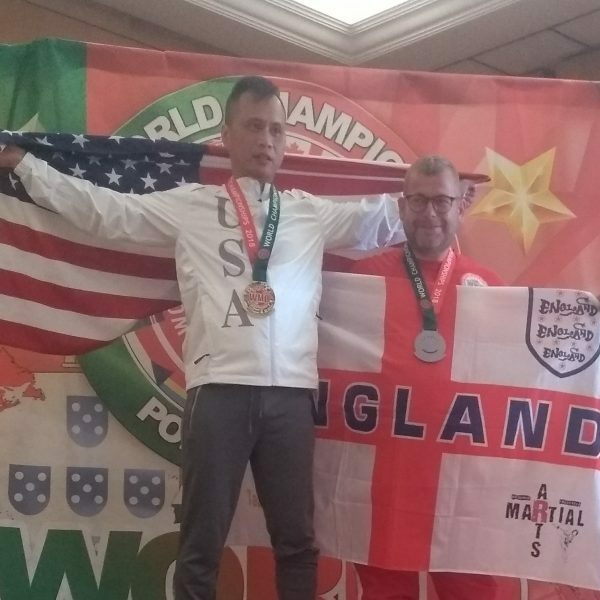 Duncan Perry, who works for Yorkshire Laser Fabrication in Normanton was silver medallist at the recent World Martial Arts Organisation in Albufeira where he competed in the traditional veterans’ category. In his third attempt Duncan, who is a member of the Zenku Kai club in Castleford had to get through three heats to come up against the current US world champion in the final. “It is a very demanding competition because you are using traditional Japanese weapons and are being judged on qualities including accuracy, stamina, technique, stability, holding and speed. It is the third time I have competed at this level and my first podium place, so I am delighted,” he said. Duncan is also determined, training four or five times a week, he now has his sights set on next year’s competition where he hopes to unseat the man who beat him to gold. In the meantime, Duncan is training for February’s British championships and looking forward to an award ceremony in Liverpool he has been short listed for.